When it’s inflated, this balloon is the shape of a beach ball! 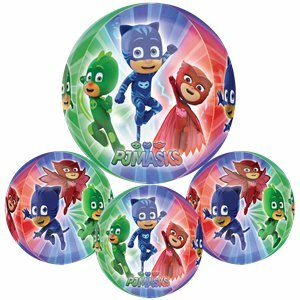 It features images of PJ Masks heroes Catboy, Owlette and Gekko racing to the rescue. The durable seams mean it’ll stay inflated for longer too.